Newstead combines personal anecdotes with an insider’s grasp of the inter national art market. With vivid portraits of artists, dealers and scamsters, the book races from pre-contact and colonial days to the heady celebrations of the Sydney Olympics and the devastating impact of the global financial crisis. Newstead’s humour, love and respect for his subjects produces a story that reads at times like a thriller and also a lament for a lost world. 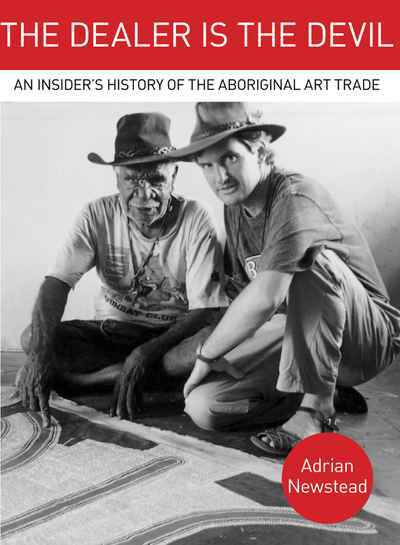 Adrian Newstead, author of THE DEALER IS THE DEVIL, has been awarded the Medal in the Order of Australia for services to the museum and galleries sector, particularly through the promotion of indigenous arts.